There’s no better time than right now to discover the latest VMware technologies and solutions like vSphere 6, NSX, and vRealize Automation. And for a limited time, when you complete select VMware courses you will also get your choice of either a free Apple® Watch or 15% off the course price. Take advantage of these special offers by following the steps below. Step 2: After completing your course, you’ll receive instructions on how to get your free Apple Watch. This offer is only available to the first 50 respondents in each region, so act fast! Step 2: The 15% discount will be deducted from the course list price at the time of online payment checkout. The course must be purchased between September 18, 2015 at 5:00 PM PST and December 18, 2015 5:00 PM PST. You must start the course on/after September 22, 2015 and complete it on/before December 22, 2015 5:00 PM PST. The promotion provides a choice between either (1) an Apple Watch OR (2) a 15% savings off the course list price. Offers 1 and 2 cannot be combined. The Apple Watch Offer is available to the first 50 buyers in these VMware geographies on a first come, first served basis: (1) Americas and (2) Europe, Middle East & Africa. When 50 buyers within the geography have participated in the promotion, then the promotion will be closed for that geography. 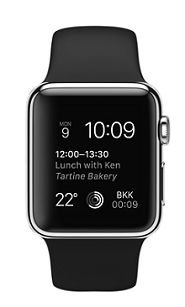 The Apple Watch offer is not available in Asia Pacific or Latin America. Customers in these regions are only eligible for the 15% discount offer. Promotion requires registration and payment to be made directly to VMware only via www.vmware.com/education with geography-based promotion code listed above. Government and public sector employees, as well as any VMware customers who cannot accept gifts per corporate/organization policies, are excluded from the Apple Watch promotion. These customers are only eligible for the 15% discount offer. Customers that enter a geography-based promotion code that does not match their physical location will not be eligible for either promotion Offer 1 or Offer 2. The promotion order request will be denied. Promotion is a VMware-direct offer on open enrollment courses only. VMware Authorized Training Centers (VATCs) and Reseller courses are not eligible. Customers who choose Option 1 (the Apple Watch) will receive an email upon completion of the eligible course with instructions on how to receive the Apple Watch. These instructions may vary by geography.